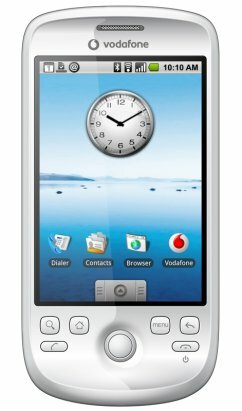 Vodafone has released the HTC Magic, but the question is, have they got their exclusive hands on a “magical handset”? Back in February as part of our smartphones series we had a look at the T-Mobile G1 which was the first to have the much hailed Google Android operating system, and although the O/S was impressive the hardware wasn’t, but now it is time for the second wave of Android phones, and the first of them is the HTC Magic. The Taiwanese telecommunications company have been on the rise recently with the HTC Touch HD, Pro and Diamond all receiving acclaim and success. So who better to have a crack at getting the best out of Android, and let’s face it they couldn’t do any worse could they? Well, they certainly didn’t make any drastic mistakes with the aesthetics, and although the G1 was by no means ugly the white colour, additional and more visually pleasing buttons and complete ditching of the QWERTY keyboard results in a slightly better looking and most definitely slimmer phone which will probably please a few people. Although the lack of a QWERTY keyboard makes it a lot thinner it does mean that the touchscreen has to be up to scratch to allow for easy typing, and fortunately it is. Not only do the claims of it being more accurate than the G1 ring true, but the Android firmware has had improvements on the word correction feature which although is far from perfect is definitely useful. But the real quality is obvious when you flip the phone to horizontal, and instead of the flimsy feeling QWERTY keyboard, you get a touchscreen one that is perfectly shaped and a joy to use. In fact, the only irritating thing is the delay in the accelerometer when you flip the screen meaning it takes a few seconds for the keyboard to show up, but that is a minor qualm. Moving onto its handling of the internet and we see that it doesn’t fare too badly — all mobile sites open up quickly and were dead easy to scroll through with the touchscreen. The only problem is with full HTML sites, but the fact that you automatically see the whole site and can zoom in from there makes it a lot easier to use. Another nice little feature was that you can open multiple windows, which is one of the things that you don’t realise how useful it is until you can’t do it! It is also sounding very rosy, so I apologise for bringing up the camera which is a bit of a letdown compared to the rest of the phone. Admittedly the 3.2MP camera is very good in the light and will give you good quality photos, but as it gets darker the quality rapidly deteriorates compared to some of the other market leaders — something not helped by the mysterious lack of a flash. Having said that they did beat Apple due to the fact that they managed to put video recording on their first try! However the lacklustre camera is equalled out by the eternally entertaining applications, many of which we have already seen; but some of the new ones are definitely worth a mention, like the Metal Detector which utilises the internal magnet and it both accurate and utterly useless. 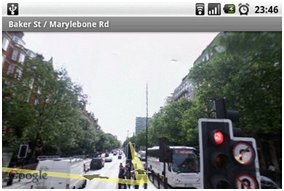 Another massive selling point is the way that it works with Google Maps (including Google Street View functionality) which is incredibly useful for finding your way around; and that is just one of numerous Google features (e.g. Mail, Talk and Calendar just to name a few) that combine to make a phone that is not only easy and fun to use, but also very useful. So, what can we say about the HTC Magic? Well, it is definitely a step up from the G1 with an improved screen, better form and is generally a lot nicer to use. 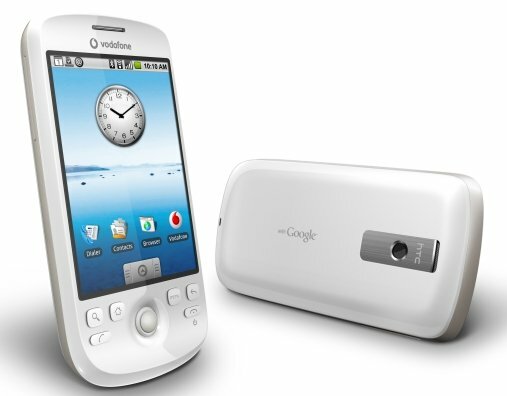 On top of that, it has all the best bits of the G1 (which wasn’t an awful phone) in the shape of the Android and all of its Google integration. Unfortunately as with most phones there are a few things that are holding it back- namely the poor camera, and the fact that it doesn’t come with a 3.5mm jack (incidentally the headphones it comes with aren’t great putting waste to the otherwise good media player — and that deliberate exclusion of something so simple really irritates me!). But it is definitely something that the succeeding Android phones can aim for, and it is a credit to HTC that they have managed to do so well; and although the £400 (obviously much cheaper when bought on contract) isn’t that unreasonable it could well be beaten but I would be surprised to see any more phones come out before the summer that surpasses the HTC Magic by any great margin, but I am quite happy to be proved wrong!